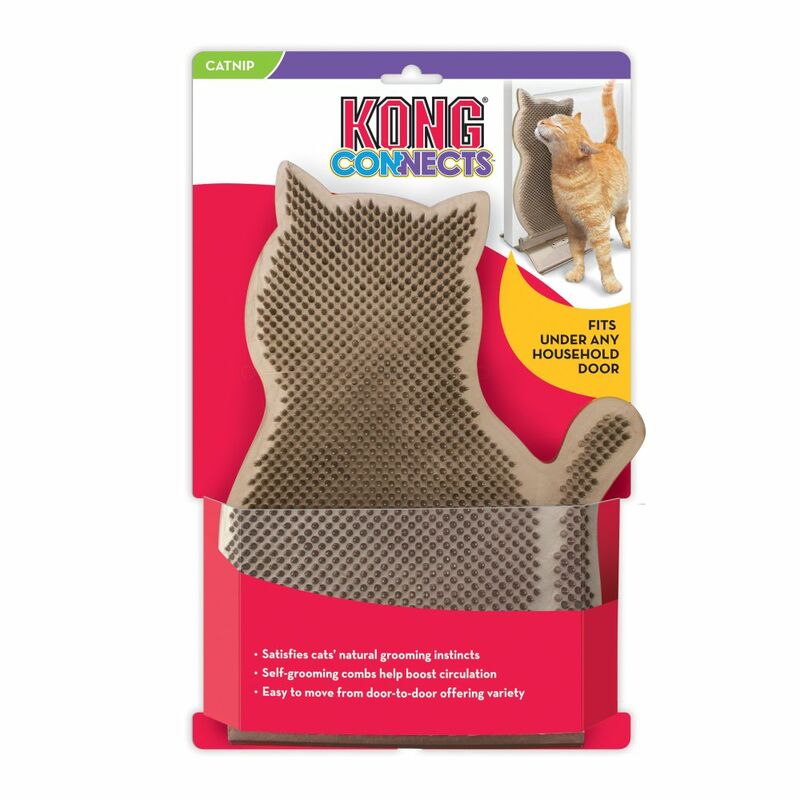 The KONG Connects Kitty Comber provides a self-grooming experience for cats while fulfilling their natural grooming instincts. Rubbing back and forth across the KONG Connects Kitty Comber, cats unleash a blissful massage that answer cats’ natural grooming instincts. 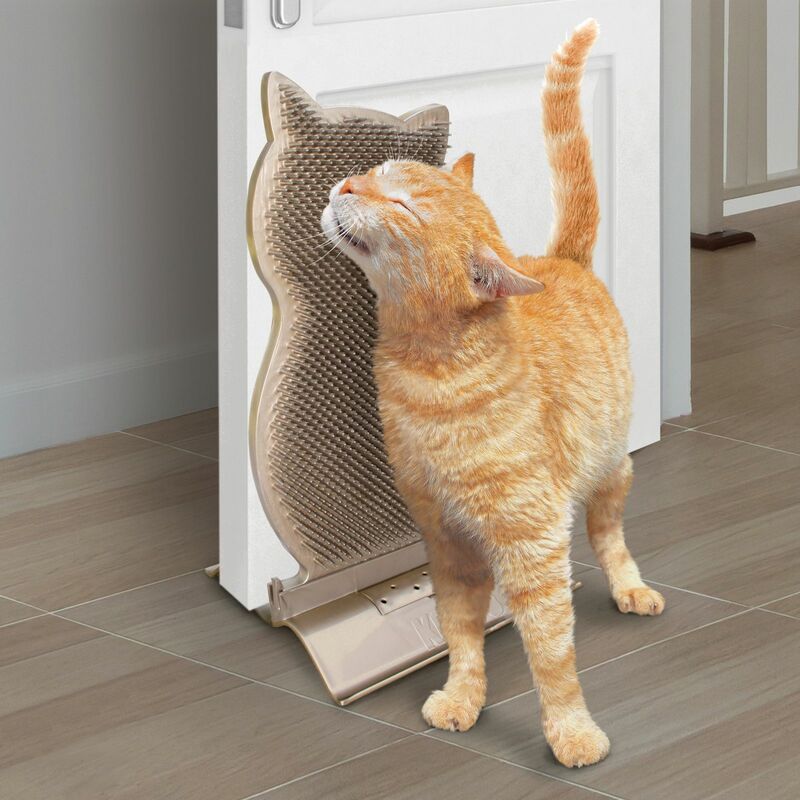 The Kitty Comber also features a freestanding, snap-together doorstop that is easy to move from door-to-door, offering a varied experience. 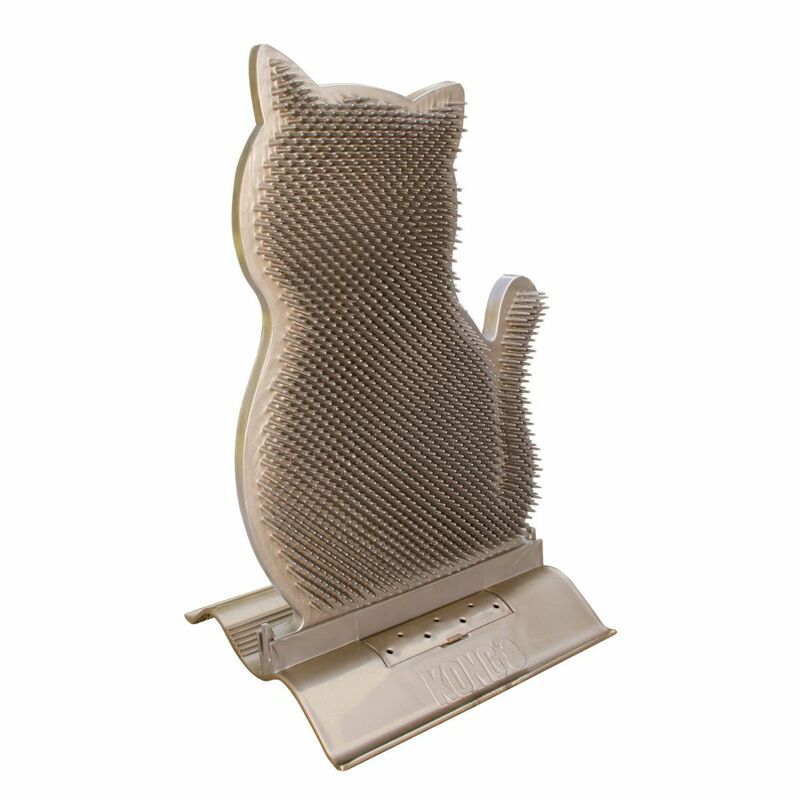 Sprinkle KONG North American Premium Catnip (included) in the catnip channel to open the door to total kitty delight.